Kerala PSC has invited new application (Gazette date : 24.09.2018) for Staff Nurse Grade 2 post in Insurance Medical Services. 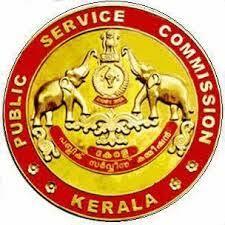 Candidates should apply online through www.thulasi.psc.kerala.gov.in from 24.09.2018 to 24.10.2018. Candidates who have registered shall apply by logging on to their profile using their User ID and password. Other details like qualification, how to apply etc are given below. Age limit 18-44. Only candidates born between 2.1.1974 and 01.01.2000 (both dates included) are eligible to apply for this post. (Other backward Communities and SC/ST candidates are eligible for usual age relaxation). Candidates should apply online through www.thulasi.psc.kerala.gov.in from 24.9.2018 to 24.10.2018.